Mallika Sukumaran, yesterday's actress and mother of the superstar of Mollywood, Prithviraj, was dramatically saved after the water entered her residence in Kochi. During the rescue mission, Mallika was seen sitting in a large floating pool and four people were escorted down the street. The images of Mallika's escape from his home have become viral on social media platforms such as Facebook and Whatsapp. The terrifying images also indicate that the house of Prithviraj in Kochi has completely gone under water. 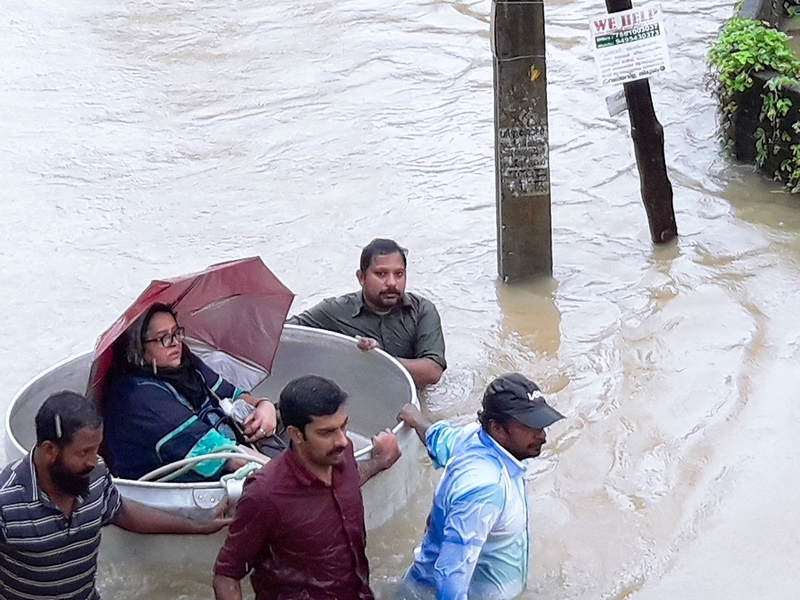 It should be noted that the house of Prithviraj in Kochi may be one of the most luxurious buildings in the city, however, it was not safe from the fury of the floods. 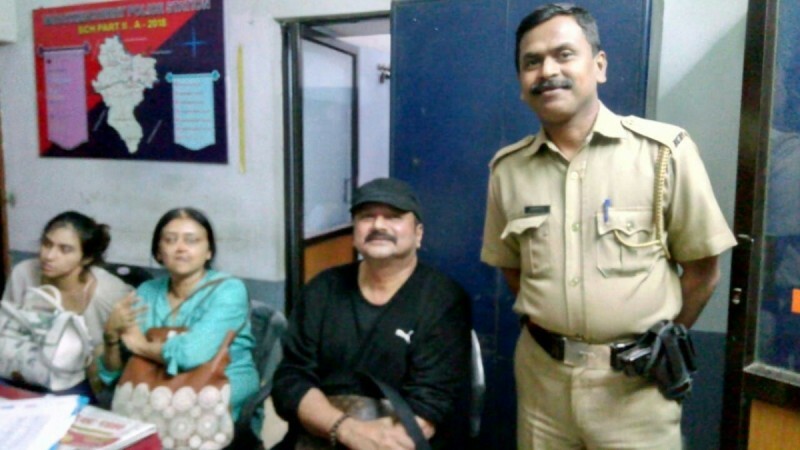 Film star Malayalam Jayaram had also dealt with last night's flooding fury, while he was stuck in a landslide on National Highway 544. His vehicle broke down in Kuthiran landslide and had to be early escorted to the Vadakkencherry police station. 8, heavy rains have devastated in different parts of Kerala. 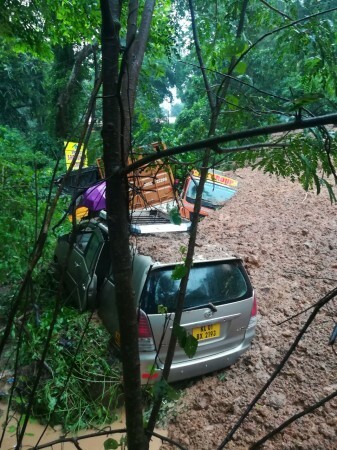 On 16 August, seven people lost their lives in a landslide that occurred in Nenmara, a rural village in Palakkad. According to the latest updates, rescuers are now looking for three missing persons on the site. 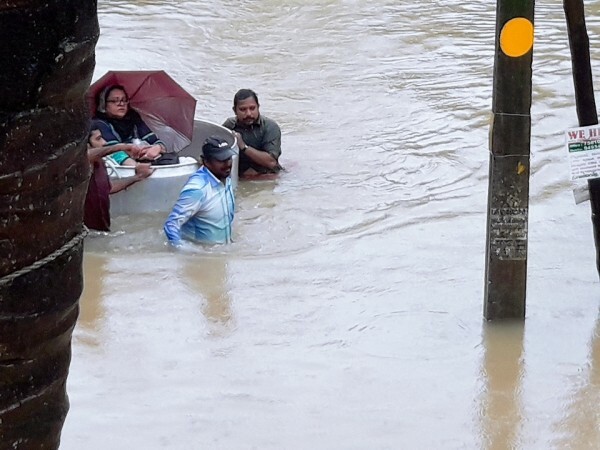 The latest statistics from the Kerala government indicate that 77 people lost their lives in these floods. Water levels are increasing in all districts and many homes have already been submerged under water. In the early hours of August 16, the Prime Minister of Kerala, Pinarayi Vijayan, apparently called Prime Minister Narendra Modi to ask for immediate help and assistance. After the discussion, PM Modi directed the Ministry of Defense to speed up the rescue operations immediately. Meanwhile, government authorities and police have rigorously asked people not to share false information about the floods on social media platforms, since panics quickly declare. The police also clarified that severe action will be taken against people who share fake messages on social media platforms.